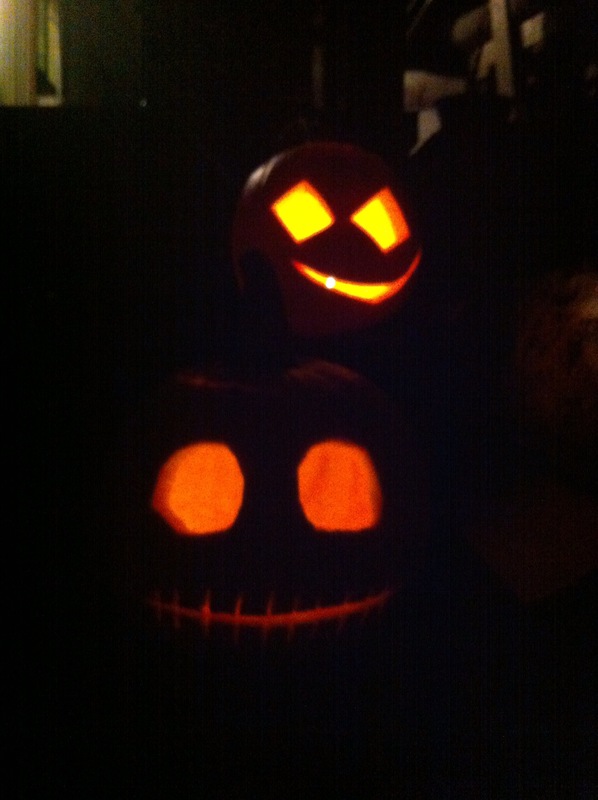 Yesterday, my boyfriend and I got together and carved pumpkins. 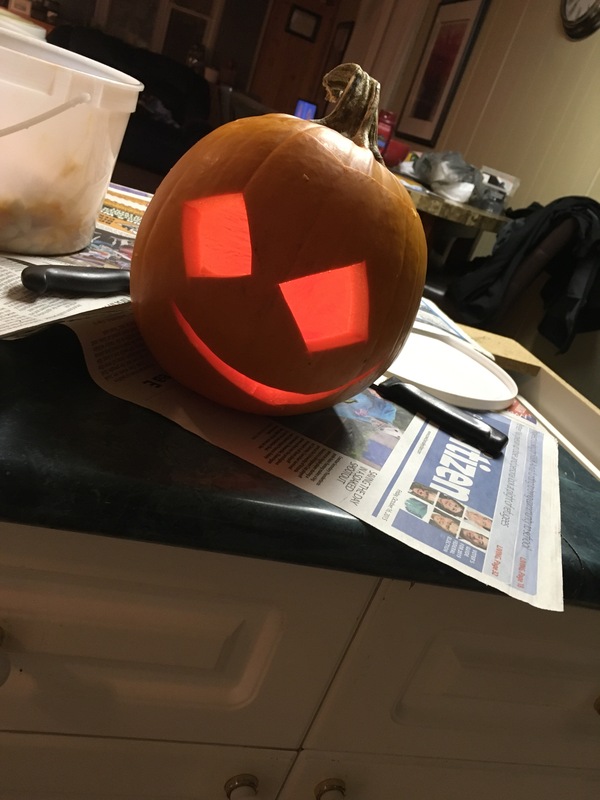 Halloween is his favourite holiday and neither of us could remember the last time we had carved a pumpkin so I insisted we carve up a few this year. I don’t know about other places, but in Canada we have annual field trips in elementary school to a local pumpkin patch where we can pick out a pumpkin, and then take it back to school and carve it. That was one of my favourite field trips as a child because we were allowed to scout out pumpkins for as long as we liked; I could sit down and just have a chat with them if I wanted to (I was an odd youngster; still an odd person now). The only rule was you had to be able to comfortably carry your pumpkin back to the school bus. And no, it doesn’t count if you can roll the pumpkin to the bus. My friend and I tried it one year, and it turns out you have to be able to get it off the ground and keep it that way. I live just up the road from a local farm with rows and rows of pumpkins, but my boyfriend lives quite far away from me, and neither of us were too fussed about it so we picked up two pumpkins from the grocery store. Initially, it was meant to be a pumpkin carving contest, but the competitive element never really panned out since I needed help carving the top opening and then dislodging a knife from the mouth of my pumpkin. 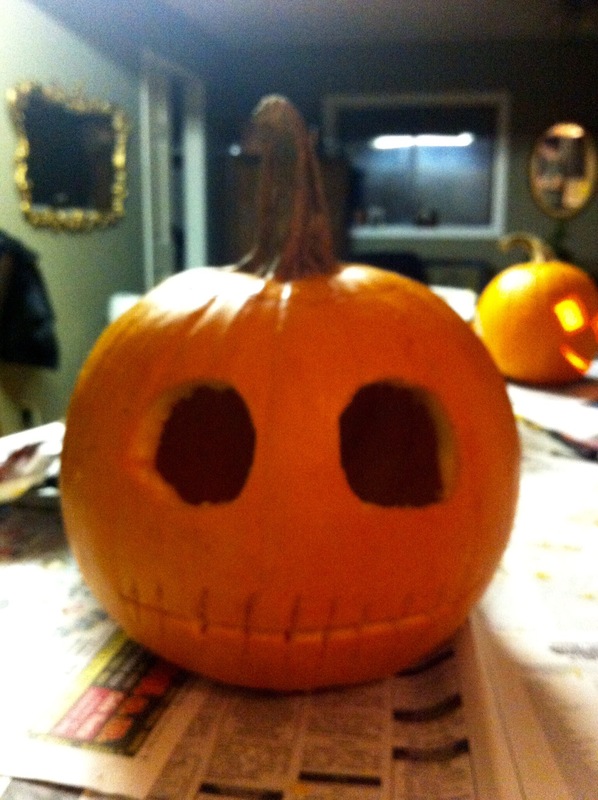 He went for more of a classic pumpkin face with an eclectic flair of diamond eyes and parallelogram-like top opening, and I went for a Jack Skullington-esque pumpkin.